Excavators. 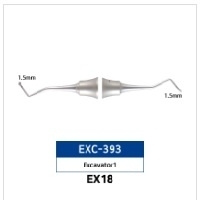 Spoon excavator: Used to remove soft carious decay. Half hollen bach: Used to test for overhangs or flash. Dental hatchers. Used to widen the entrance of the tooth cavity and slice away the thin carious enamel. F& S Machinery Industrial Holding Co., Ltd.
Short on time? Let excavator sellers contact you. Chemax Techno Services Pvt. Ltd.
Cat 320c which is 2006 model machine . Engine rated ho 138 with 1.22cu.M bucket. One, weight 20 tons. 1999 year, 3 821 moto hours 7.5 tonn Location - japan very good condition. Guangzhou Huitong Machinery Co., Ltd.
Shanghai Rongguang Construction Machineru Co., Ltd.
Shan Dong Lishide Construction Machinery Import & Export Co., Ltd. Weight (T) 5.75 Bucket capacity (m3) 0.22 Engine model YANMAR 4TNV94L-SSN Power (kw/r/min) 35.5/2200 Fuel tank capacity (L) 100 Travel speed (km/h) 4.2/2.2 Slewing speed (r/min) 9.5 Gradeability (%) 70 Bucket digging force (KN) 38.5 Ground pressure (KPa) 33.5 Hydraulic pump model AP2D25LV1RS7 Max. flow (L/min) 11110+35.6+9.9 Work pressure (MPa) 22.6 Hydraulic tank volume (L) 80. Overall length (mm) 5960 Overall width (mm) 1906 Overall height (mm) 1995 Overall height (mm) 2690. 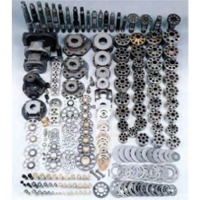 Guangzhou Mottrol Excavator Parts Co., Ltd.
Hitachi excavator part NO. Seal Kit EX200-1 4206018 BOOM CYL - 4206019 ARM CYL - 4206020 BUCKET CYL - 9062438SK CENTER JOINT - 9063666SK TRACK ADJUST EX200-2/3 4286774 BOOM CYL - 4286780 ARM CYL - 4286784 BUCKET CYL - 9101521SK CENTER JOINT - 9090028SK TRACK ADJUST EX200-5 4364915 BOOM CYL - 4364916 ARM CYL - 4364917 BUCKET CYL - 9101521SK CENTER JOINT - 9144658SK TRACK ADJUST. 45*45*30 cm. A complete excavator function as well as complete loader fuction by just adjusting boom and arm. Packing: carton or case Model no. : travel assembly Standard: we produce depend on the part number Unit price/payment: exworks, fob, cnf, cif Hs code: 84834090 Trademark: bn Origin: china Min. Order: negociate Transportation: by ship, air, carrier etc.